Revenue have today announced an extension to this year’s Pay & File deadline for online tax returns from 31 October to Thursday, 12th November 2015.
file your 2014 Form 11 Income Tax return using the online ROS system. any remaining balance of Income Tax owing for 2014.
you use ROS to make the required Income Tax payment. It is worth noting that the ROS filing deadline this year is one day earlier than last year’s 13 November deadline, and a full 5 days ahead of the 17 November deadline that applied ten years ago, in 2005. This is unfortunate as the tax code becomes ever more complicated and cumbersome each year. The Revenue eBrief doesn’t mention any extension to the Capital Gains Tax return filing deadline of 31 October 2015. If you are are self-assessed for Income Tax, you must file your 2014 Capital Gains tax return as part of your 2014 Form 11 Income Tax Return. As was the case in previous years, I expect that the deadline for such ROS-filed returns should now extend to 12 November. If this affects you, I advise you to double check this in advance of 31 October. On the other hand, if you pay all your taxes under the PAYE system, and had a Capital Gain in 2014, you must file a Form CG1 Capital Gains Tax return by 31 October 2015. 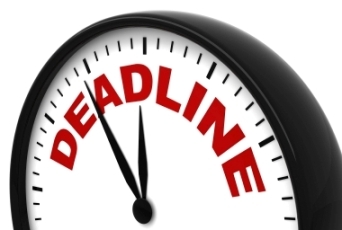 The later deadline does not apply to you. In earlier years, the later ROS filing deadline has also applied for backdated tax relief on RAC, AVC and PRSA pension payments. Today’s Revenue eBrief does not mention this particular issue although I expect that the 12 November deadline will also extend to such payments, for anyone who pays & files via ROS by 12 November. If you are considering making a pension payment next November and wish to claim the tax relief against your 2014 liability, you should first double-check that the extended deadline applies to pension payments. Unless you are 100% certain, it is safer to work on the assumption that the previous 31 October deadline applies, and to make any your qualifying pension payment by 31 October. Today’s Revenue eBrief containing this announcement is here.